I had another code downloading session with Angaela and Martin yesterday. Whilst in meditation I found myself with my dragon, Ba’shiba. We were going on a journey to understand ‘dragon riding’ the ley lines or dragon lines. We also spent some time repairing the broken disused lines, which I didn’t know needed repairing. These lines and meridians connect all the sacred sites and chakras of Mother Earth. I knew that the meditation that I’d do at 4pm via Skype would have something to do with the dragons but little did I know what. I was going to fly by the seat of my pants like I used to. Whatever was relevant for a specific group, depending on the energy, would come through. But this time was different, as I had a foretaste of what to expect. Wow what an amazing session. Whilst the twins were downloading codes that were so beautifully synchronistic with what Ba’shiba and I were doing…I was in another world. Later on I went down to the shops. I could feel the exhilaration and connection with Mother Earth so strongly after the coding and the meditation that I was literally pulsing. The pure joy of the connection had me walking around with tears in my eyes. I was walking on air. As I walked it suddenly occurred to me that I lived on the ‘0’ time Greenwich Meridian. I’d always know there was some significance to it, but had yet to find out. Finally I had an answer today. And as all the ley (or dragon) lines and meridians are connected it was an understanding of great significance. Waiting in the library, I turned to look at the magazine rack. I have not read a magazine for absolute years. But the one named Sussex Living kept jumping out at me until I finally picked it up and brought it home with me. I idly paged through it wondering why I needed to see it and came across a section about East Grinstead’s meridian line. The article started with – From pole to pole it marches across the face of the planet, delineating time and marking the spot where East meets West. It is the ultimate zero, from which all our time and navigation is based. Okay…so I needed to see that as confirmation of what happened during the meditation session, as well as being a contribution to my sudden awareness of the eastern dragons and the western dragons. Very symbolic - east meets west. This brought me back to numerology and the zero. The last house we lived in in Cape Town before we moved to the UK had zeros in the phone number and the house number. And now here in the UK I had again moved to an area with zeros. I’ve always felt that both places were kind of like a ‘holding place’ for gentle clearing and integration until I was ready to move on – sort of like taking a breather. The first time I moved from contentment to an overwhelming time of massive clearings – my dark night of the soul that lasted years until we moved out of the chaos of London to this gentle place of holding. This time I wonder whether I will have a similar hard time when we move away from the zero meridian line. Thank you Martin and Angaela. The codes were so in line with what I experienced and really gave me a much needed boost. Who’da guessed that riding the dragon lines could be such an exhilarating experience…or even possible? I’m still on a buzz this morning. To invoke such reverence from the Celts, who were one of the most fierce and rugged ethnic groups in ancient times, they must have been much more than just fire-breathing beasts. Although dragons are usually associated with Asia, these mythical creatures can be found in fairy tales and folklore all over the world, including Celtic Ireland. In the secular world of Celtic chiefs and warriors, dragons are merely symbols of the power of the chief. Indeed the Celtic word for "chief" is Pendragon. According to Trevor Mendham of Dragonorama, "Dragons were an important part of Celtic lore. The Celts were highly attuned to the land and dragons were believed to influence the land.... Areas frequented by dragons were believed to possess special power." Dragons have always been associated with the Power of the Land. Even today, in many esoteric rituals, people believe that invoking the "Eye of the Dragon" will increase their personal power. The ancient Druids believed the Earth itself was like the body of a dragon, and they built their sacred stone circles upon the "Power Nodes" of this body. They believed dragons connected us with the Earth's magnetism and healing waters. 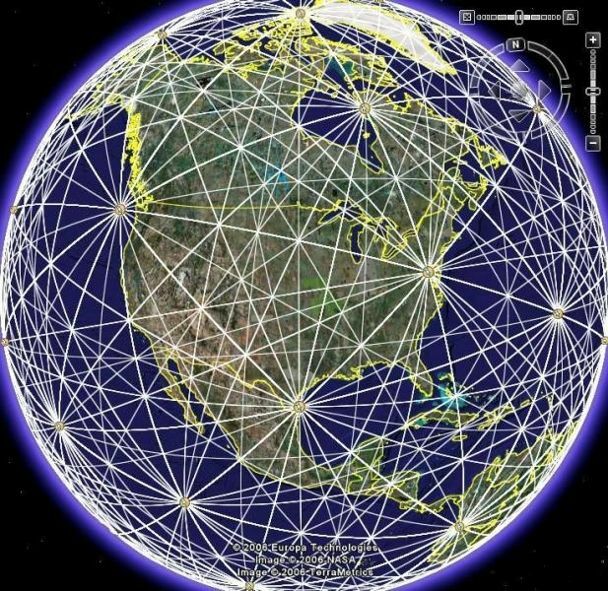 Many of us have heard the mysteries of the "ley lines", especially in relation to the location of mystical sites such as Stonehenge and the site of many mysterious crop circles. What you may not know is that another way of saying "ley lines" is "Dragon lines". In ancient Celtic Ireland, the "ley of the land" was not about the geographical, physical nature of one's surroundings. It had a much more powerful meaning than that. To the ancient Celts, the "ley of the land" was a term describing how the Cosmic forces flowed through and influenced the area, as well as how the area itself affected those Cosmic forces. Dragons were thought to have a tremendous influence on the "ley of the land", hence the term "Dragon lines". But far from the terrifying creatures we see in films, dragons were more than fire-breathing beasts with the power to destroy. The Anglo-Saxon word "dragon" is derived from the Greek word meaning "to see clearly". They believed dragons had the gift of vision, wisdom, and prophecy. Dragons were considered the guardians of all knowledge and wisdom. As Celtic artist Cari Buziak's design demonstrates, Celtic art often depicts Celtic dragons swallowing their tails in a never ending circle, symbolizing eternal life, much like the symbolism of knotwork and triskeles. The dragons were revered like gods, believed to bring Earthly and Heavenly forces together. Celts believed dragons guarded the gate to both the Heavens and the Underworld. I will upload the meditation for purchase once I have cut and spliced it. My thanks to those who took part yesterday as well as to the twins. What an incredible journey. As an aside – over the last few months I’ve noticed that in the morning I wake to find soil under my fingernails. I have realised that working with Mother Earth and the dragons has been part of this. It is my physical and tangible indication of what we do at night whilst my body is resting. I keep forgetting to write this up. Anyone else experiencing anything similar? The audio of this meditation is now available for purchase on my website.